Welcome to Arianna Farms 'Ono Kona Coffee! 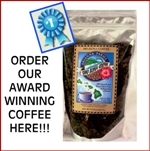 We won for our 'Ono Kona Coffee! to everyone who made this win possible! NEWS FLASH! 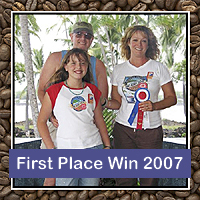 We are thrilled to announce that Arianna Farms �Ono Kona Coffee won First Place in the prestigious Kona Coffee Crown Cupping Competition, held November 2011 on the Big Island of Hawaii. Also winning First Place honors at this annual cupping competition's 2007 inaugural event makes Arianna Farms 'Ono Kona Coffee the only Kona coffee (so far!) to win the First Place award TWICE! The Kona Coffee Crown Cupping Competition is an official event of the Kona Coffee Cultural Festival, Hawaii �s oldest food festival. An international panel of judges conducts Preliminary and Final Rounds of cupping across two days. We are thrilled! Mahalo to our entire farm ohana for the commitment to our 'Ono Kona Coffee! 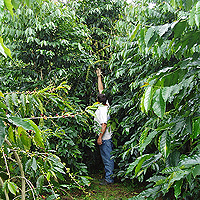 Meet our Kona Coffee farm and our 'Ono 100% Kona Coffee! Arianna Farms 'Ono Kona Coffee is our lush 50 acre Kona Coffee farm stretching across the verdant slopes of Hualalai Volcano. 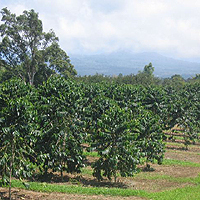 Our family farm is on the original "Kona Coffee Belt", the historic Mamalahoa Highway , where Kona coffee first began. Sunny mornings and misty afternoons, with warm tropical showers and gentle ocean breezes, provide the ideal climate for growing Kona Coffee, one of the most exclusive coffees in the world. Our Name. 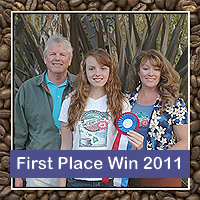 We love our farm and coffee so much, we named them after our daughter, Arianna. To show our deep respect for our Hawaiian forebears, we wanted to have a Hawaiian word in our name. We thought 'Ono, which is Hawaiian for "delicious", was perfect! Our slogan. "From our Farm to your Cup." As Arianna says, "We work very hard to make the best possible coffee at each step, literally from the ground up!" It reflects our philosophy to strive for the best from farm to cup. Everything you taste in the cup begins at the farm! Ecology and Sustainable Agriculture. These are essential to how we farm, to help preserve the label's idyllic Hawaiian paradise. That means taking care of the land and the trees the best way we can! Our farm co-sponsored a workshop with the University of Hawaii Cooperative Extension Service on Sustainable Agriculture, and we are committed to green practices. Native Hawaiian Plant and Tree Restoration Program. For several years, we have been planting natives to restore these to the land. We hope that our farm will one day be a link in an entire 'chain' to create a 'bird corridor' to higher elevations where native birds now dwell so that they will return lower elevations. And in the meantime, they create a wonderful tree habitat for any bird who will like to stay! In the final cup, you taste everything--from taking care of the soil and trees, picking only the ripe, red cherry, careful wet milling, raking and drying, dry milling, storage and more! As we say, "From Farm to Cup!" Our Kona coffee is a unique mix of classic Kona typica, a newer typica which made a big splash over a decade ago when it won First Place at the Kona Coffee Cupping Competition at the Kona Coffee Cultural Festival (amid more than 50 Kona Coffees! ), and our 'Old Hawaiian varietal. �Old Hawaiian. We're especially proud to have the original Kona 'typica varietal called 'Old Hawaiian', which comes from trees over 80-100 years old. 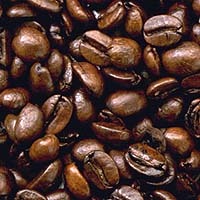 The 'Old Hawaiian' were some of the first coffee trees introduced to Kona, are rare today, and produce a wonderful cup! Roasts. Different flavors are developed with different roasts. If you order from our shopping cart, you will receive a medium roast which provides a beautifully balanced cup! If you want a different taste adventure, order 5lbs or more and make a note that you'd like to customize the roast, specifying a light roast (which will highlight the delicate florals and citrus notes) or a medium-dark or dark roast (which will enhance rich, deep tones).